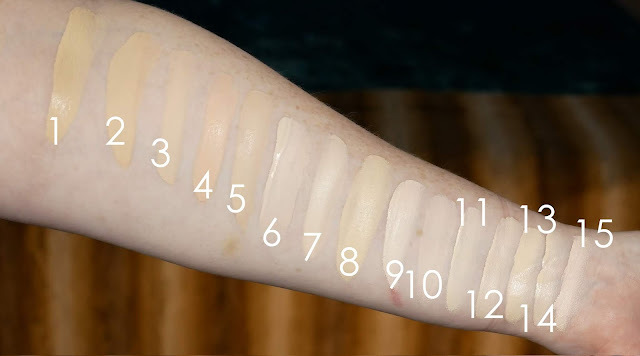 Hey guys, when I saw the new Morphe foundation had three undertones within the fairest shade range, I got excited. Most very fair foundations come in one undertone then the shade jumps down. I purchased the Morphe Setting Mist from their website and received the sample card with all the light level 1 foundations. I swatched the three lightest shades, did demos and wear tests with F1.10 and F1.20. I'll get it out the way now, these dry down a lot darker than when applied originally. They seem like they're going to be in that fairest category but dry down a good shade or so darker. The shade F1.20 is the best undertone match for me and I can wear it even though it's a bit dark. Because I was so flustered over how dark these looked, I added wet swatches of the Morphe shades for comparison. It's not unusual (especially for matte foundations) to darken a bit when drying, but this is pretty drastic. Check out my video for demos of F1.20 and F1.10 along with two wear tests!